In recent years, the NBA has really begun to influence off-court style and culture. The influence comes from the focus on players and the way they dress before and after the games. On the other hand, on-court style was usually limited to shoes and accessories (like headbands, sleeves and socks). For some reason or another, Jerseys have always been popular, but were limited to in terms of when and where you could wear them. There seems to be a shift in the last several years as alternate designed uniforms have been introduced by Nike, and Adidas before them. 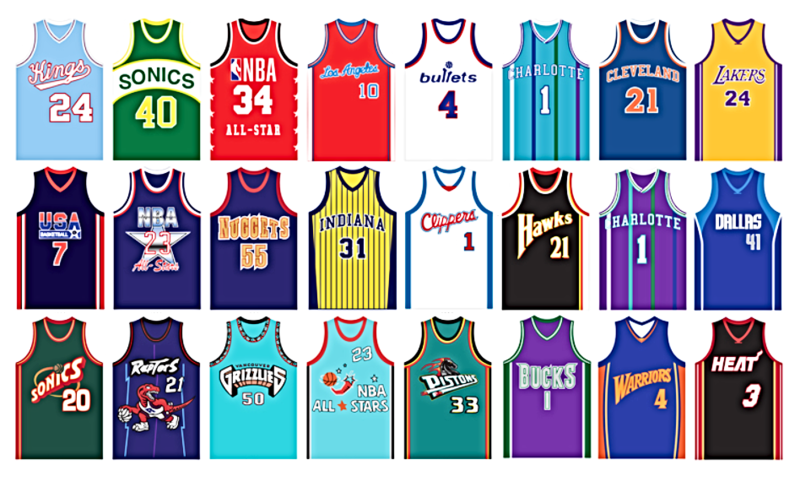 The NBA jerseys that seem to have the most crossover appeal are throwback jerseys, or uniforms that are from a different NBA era. 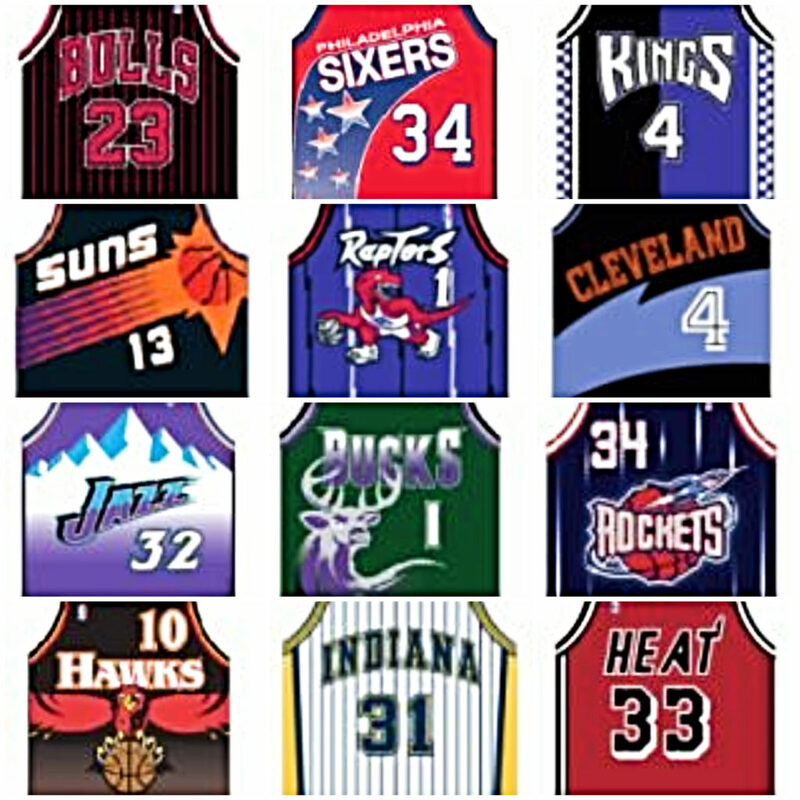 These retro/vintage jerseys can be from just a decade or from a generation ago. 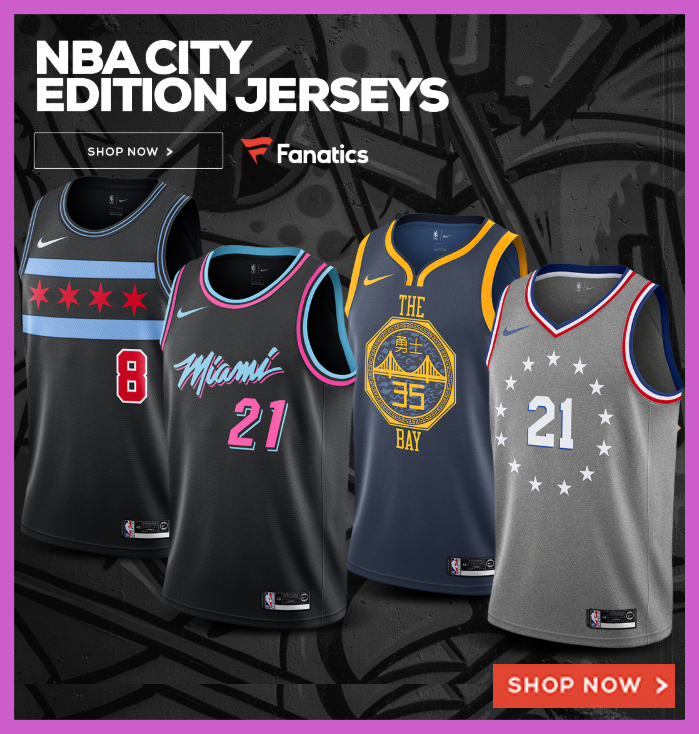 Mitchell & Ness, one of the official partners of the NBA, helped to bring back throwbacks with their “Hardwood Classics line of jerseys, hats, and other gear. It’s true that the throwbacks worn by fans generally follow the teams and players they love in the current era, but because throwbacks’ designs are radically different than the current jersey styles and because they’re from a different era, you’ll catch an Laker fan wearing a Larry Bird jersey while playing ball in Laguna Beach. It’s more a respect for the player itself, or they simply love the jersey’s style. The line is blurred between fandom and fashion when it comes to throwback and vintage jerseys. Sometimes jerseys are universally accepted (like the Miami Heat’s “Miami Vice” City Uniforms), while other on-court jerseys aren’t always recognized in the era they came in. Throwback jerseys from the 1990s are a prime example of this. The mid to late-1990s ushered in a lot of bold choices (and franchise names… Raptors) that were criticized and taken for granted by the fans of that era. Even a decade later, they were seen by many as gaudy, “cartoonish” and too much technicolor. But 20 years of later, those same uniforms are now considered in style. From a huge deer on the Milwaukee Bucks’ jerseys, pinstripe jerseys for the Shaquille O’Neal era Orlando Magic and Reggie Miller-led Indiana Pacers, to a neon blue Detroit Pistons uniform with horsepower, the 90s really upped the color choices from the relatively-boring uniform choices of the 1980s. Odds are if you had a mascot that was a tangible person, place or thing, it was proudly emblazoned across the front of the jersey.